Most of our wines are from our own Estate vineyards which are all certified sustainable in the Lodi appelation. Once they are harvested they are brought to the winery which is located in the old Ice House building on the corner of Locust and Main st in the Downtown area of Lodi. From what we have gathered from those who know some of the history is that the building was started as the Livery Stables in the 1880's and later became an ice house. The 15,000. sq.ft. old brick building was purchased about 2010 and painstakingly restored to house our winery and more recently our Brewery. It is only a few blocks away from the Dancing Fox Restaurant/Tasting Room located on School st.
Tours can be arranged with the Winemaker Gregg Lewis by sending him an email (gregg@dancingfoxwinery.com) Tour fee is $25. per person (minimum 4 people paid in advance) which includes personal tour of the ice house facility seeing both the beer and wine making areas (27 E. Locust street, Lodi) as well as a few barrel tastings. then proceeding over a few blocks away to the Dancing Fox restaurant and tasting room (203 S. School St. Lodi) for a wine or beer tasting paired with samples of our housemade breads. Tasting fee is $10. waived upon any wine bottle purchase. We pour 5 wines that we have chosen for that week. Groups larger than 8 need to call ahead for appointment. As a small family run operation, we like to consider our club members as a part of our family and always enjoy conversation over a glass of wine and good food. Our quarterly club parties are held in our banquet room in our downtown retail/restaurant connected to our tasting room. 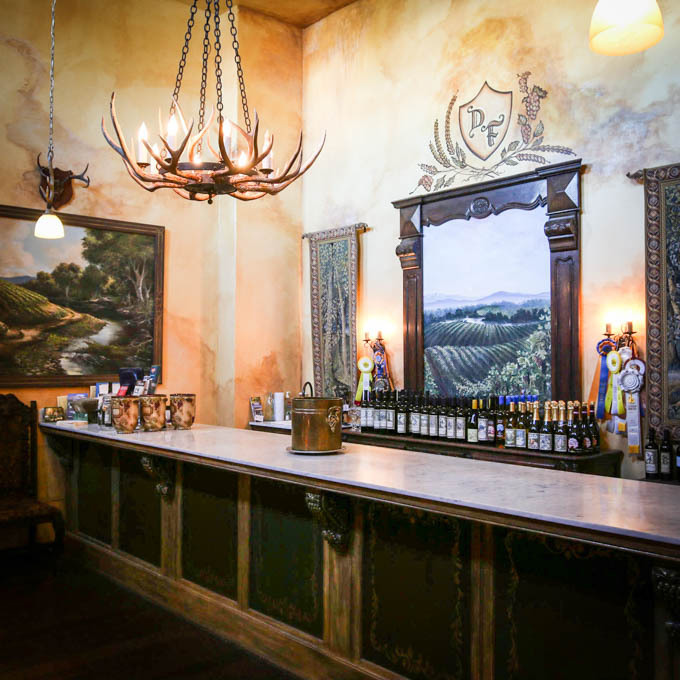 It provides a warm intimate place for gatherings where we provide great food paired with our many different wines. If you are looking for new friends, great food and wine please consider giving us a try. We offer three different levels of club listed below. There is no charge to join and you can cancel after the 3rd shipment. All purchases will be billed to your credit card on file. An email notice will be sent 2 weeks prior to the ship date allowing you to pick up your wine at the pick up party. The pickup parties are a time of food, drink and merry conversation with other club members. If your order is shipped, shipping fees apply and will be added to your purchase. Cancellations must be in writing either by mail or e-mail and postmarked 14 days prior to the ship date. Thank you for joining the Dancing Fox wine club and we look forward to seeing you at the next pick up party.